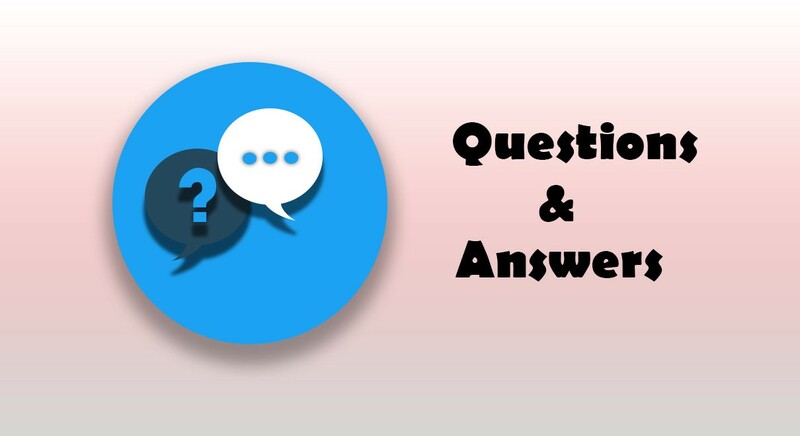 The first question that comes to the mind of a blogger or a webmaster is that, Can we get more traffic by using the question and answer sites Or Question/Answering sites? (In short Q/A or Q&A). Well, We will be discussing in this post that What is the best question and answer sites to get more traffic? The thing or we can say the rule of this world is very simple. Either you can thrive in this world or you can wither in this world. There are only options. This is all because of competition in this world. Everyone wants to get ahead of the other person in this world. This has changed the scenario of all the things in the world. As a result of this competitiveness has become an idea of this world. There is actually no place of laxness. There is only competition. There are actually so many opportunities on the internet. People do a lot of different things on the internet to make an earning from the world of the Internet as well. We all people know about the websites. There are a lot of websites on the internet. People like us run these websites and people run small blogs as well. Now, this is like a whole new world. People having different interests run different types of websites and blogs on the world of Internet for a vocational purpose but for the vocational purposes as well. Through running websites and blogs people are earning money as well. It is the source of income for so many people these days. It is a reality and it is all because of the new world of the Internet. Now we move into the complexities of running a website a lot of new things come into the fray. One of the most important things of all these things is the need of getting more traffic on your website or the blog. You start a website, there is always one thing or we can say plan in the mind that you need to get your website ranked as high as possible on the internet. This is actually the goal of every person who is running a website or a blog on the internet. Now the most thing to get the website ranked on the internet is to get more traffic on your website. This is actually one of the most important factors. Now the question is how to get more traffic on the website. The answer is plain and simple. Nowadays there is a different trend on the internet to use the question and answering websites to get more traffic on your website. You can use the question and answer websites to get a lot of traffic on your website. The idea of getting traffic from the question and answering websites is a great one. The main secret is that these question and answering websites are already highly ranked websites. These question and answering websites are already high authority websites. Your website is not highly ranked but this question and answering websites are. So what will happen if a question ranks on the search engine with your given answer along with your website’s or blog’s backlink? In this way, you can get massive traffic by ranking a particular page of any question and answer site that has your website or blog’s link. So this is a simple thing but it can benefit you a lot in terms of the traffic you will get when you will succeed in all these things. So this is how all the things work with this question and answer sites. Try to get more traffic for your websites with a question and answer sites and leverage more and more. What are the question and answer sites? Now, what are these question and answering websites? Actually, these are the kind of community where you can ask your questions and get answers to those questions. On these websites, you can ask your questions and even answer the questions as well which are asked by the other people on that particular question and answering website. How these question and answering websites are leveraged to get more traffic? Now, this is the question which comes in the mind of every person when he or she reads or hear about these question and answer websites. Now the answer to this question of how we can get more traffic from these websites is that these sites have developed perfect solutions for the problems or the questions which the people ask. Now, this thing becomes really important. Now the traffic from these question and answering websites are highly targeted and there is a huge chance to get a high conversion rate from those visitors. Now, this is how actually things work. This is how we can get more traffic from this question and answer sites. We are providing you a whole list of question and answering websites. There are a lot of websites under this list. These can serve your purpose to a great extent. So here is the list of these question and answering websites. So these are the most important question and answering websites which can answer your all queries. All you need to do is just visit these websites and start answering questions. All these questions and answering websites can be really helpful in generating a lot of traffic. You can use all these websites according to your choice. But this thing is sure that all these question and answering are really to get a lot of traffic for your website. Now we will talk about some of the most important questions and answering websites in some detail so that you can get hang of all the things clearly. There must be no doubts. That is why this thing more important than anything on the cards. Get some clarity of the most important websites and then go with the things ahead. Following are most of the important question and answering websites which you can help you in getting more and more traffic. This is one of the most important questions and answering website. It is very famous and popular as well. A lot of people already use this website. It is a great community. After registration on Quora, you can ask your questions as well and even answer the questions. Through Quora, you can connect to your Twitter and Facebook accounts as well. It is quite easy to use as well. So use this important question and answering website to get more traffic. You can check the complete guide on how to get more traffic using Quora. This is another very important question and answering website these days. The good thing is that even without doing any kind of registration you can start the things. You can use simply use Google email or Facebook to sign up. You can start asking and answering questions. But the best thing to register first as it will help you to track the answers to your questions. So get connected to Stack Overflow instantly if you really want to get more traffic from this question and answering website. Now the next question and answering website on your plate is answered. This is also quite popular and used by a lot of people. The great thing about this question and answering website is that it is considered as one of the best and leading question and answering websites. After registration on this website, you can start asking questions and answering them as well. So get to this website and try to get more and more traffic for your website with this question and answering website. Another leading question and answering website for your use. You first of all need to register on this website to get started with the things. There is no other way around. After registration, you are free to answer the questions and ask your questions as well. The good thing is that when your questions will be answered you will receive the alerts as well. These alerts of your answers will be sent to your email box as well if you want that thing. Things are really simple with this website. Moreover, on this question and answering website, you can post polls as well which is an advantageous thing for you. So to get more and more traffic use this website more and more. Another great question and answering website to fulfill your need of getting more and more traffic on your website. Here you just need to sign in with your Yahoo account and you are ready to go. You can answer the questions and ask the questions as well. The best thing is that there are a lot of users all over the world. So your question will be answered in a short period of time. Moreover, it is a high authority website. So there are high chances that you will attract a lot of traffic to your website if you get connected with Yahoo answers. So without any wasting anytime just get onto this platform and leverage it more and more for your traffic purpose. This is another question and answering website which has mentioned in the list. On this website, you can start with the answering and asking the questions thing without the process of registration. This website is very simple to use and understand. If you register with the website then the process will be simpler as compared to without registering. So get connected with this website as soon as possible to attract more and more traffic for your website. This is a kind of unique question and answering website which can be used by you to get the traffic for your website. The idea of working on this website is quite simple but unique. On the website, you will first need to choose an available expert from one category in which you are interested in asking questions. This is the first step. Then you can ask that expert your questions. You need to enter your email address as well to send the questions. The responses here as well will be sent to your email box where you can check wherever you like to. The process is quite simple and you can get a good amount of traffic for your website as well through this answer and questioning website. The community in it helps a lot. Another very popular question and answering website. Funadvice integrates questions, answers and photos in a unique experience that gives people a fun way to ask for advice, share information and even make some good friends. It is one of the fastly developing questions and answer websites. A lot of people have started using it lately which is a great thing. You can leverage this thing to get your answers easily and also attract a good amount of traffic for your website through this question and answering website. The great thing is that all these things are done with fun which makes the person stress free as well. So these are some of the most important questions answering websites. We have provided a list as well to you. But the above ones are the most important ones. The Internet is on a roll. It would be great to take advantage of this thing. If you are a blogger and want more and more traffic for your blog and website then go through all the above websites. Surely you will get a lot of help. Good luck getting traffic for your blog. Hi Robin, oh my goodness – I didn’t know there were so many of these sites out there! I’ve been using Quora over a year now and it’s great. I do generate traffic from there but have to be careful of using links there. I’ve had some removed and such but not banned. I saw Neil Patel banned there once. It does happen! I will have to check out the others you mentioned – especially Twitqua. Thank you for this one! I am glad you liked the post. And Yes other than Quora there are many websites. It’s Indeed a great joy to read this post which shared some unknown Q&A sites, as Lisa mentioned I know only Quora, which in fact a top one on this category. Will surely have a look at the other platforms you mentioned here.